Of all the tricks in my Juggling History Show, the Whirligig Balance gets the most consistent positive reaction out of both jugglers and non-jugglers. 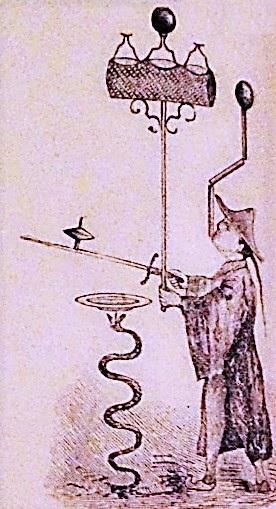 This is a very old trick, consisting of a spiral or snake-shaped pole that has a plate spinning at the top. 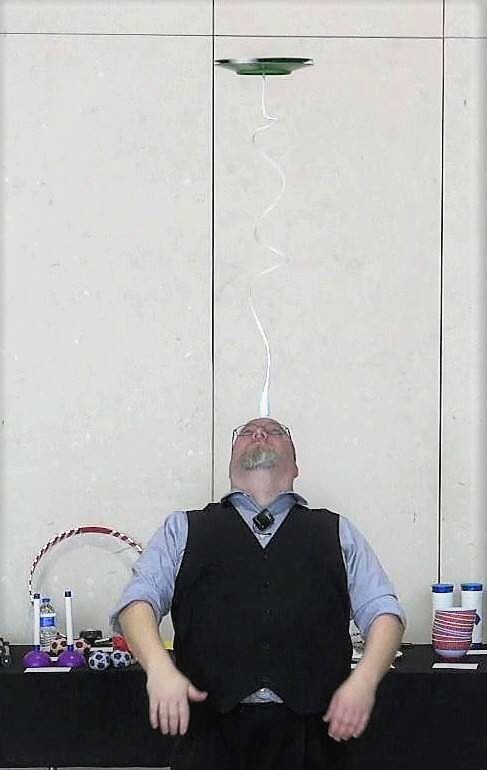 The bottom of the pole is balanced on the juggler’s forehead, on a mouthpiece, or on a plate. The spinning plate causes the pole to turn as well due to a bearing system or point at the bottom of the pole, creating a very visual display. 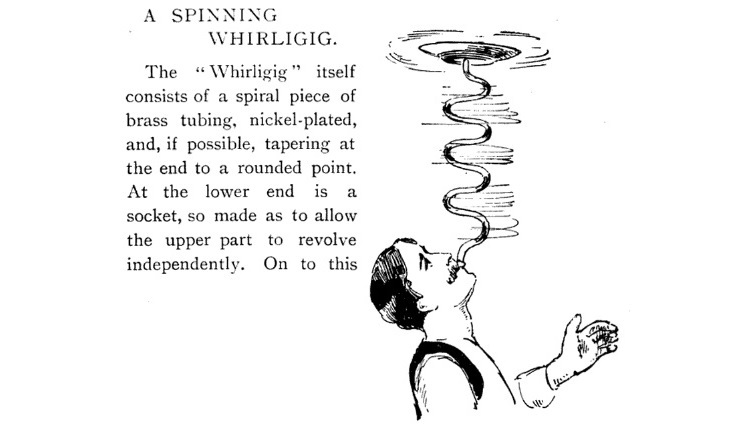 The earliest references to this trick are two illustrations of it in the 1890 Otto Maurer juggling prop catalog. This snake-shaped version can be seen below. 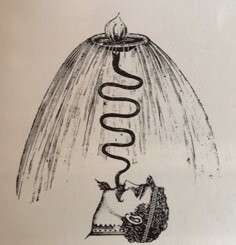 The next known reference to it is from around 1900, where it is shown being used by Gus Kiralfo in the following illustration. The trick was featured in Anglo’s book The Art of Modern Juggling, published in 1907. Here are the instructions that Anglo provided. 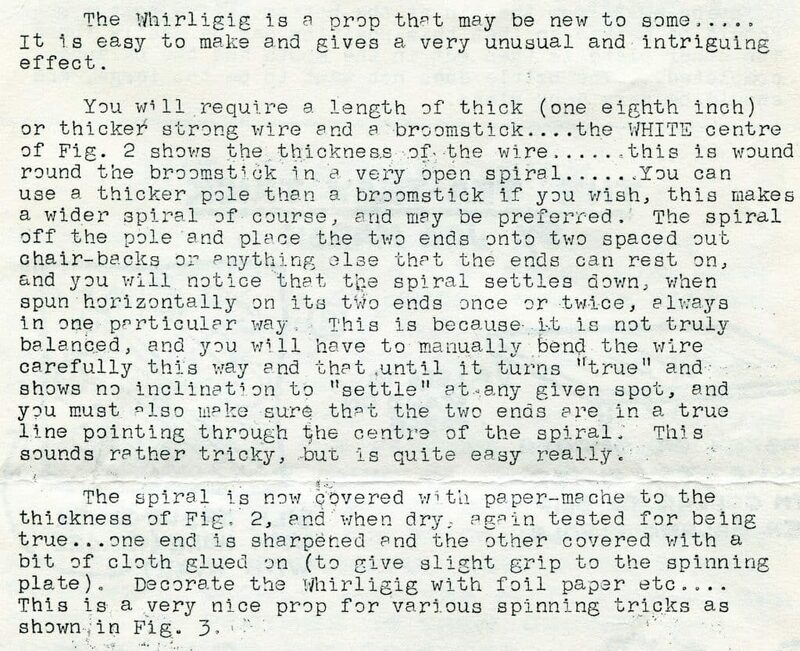 The only old video known to show the whirligig’s use is from 1938. 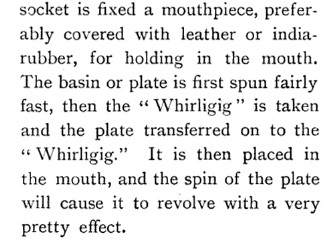 It shows the Juggling Pearsons spinning snake-shaped whirligigs on plates held in their mouths. The trick was a favorite trick of Joe Marsh, who shared the followed instructions in a Juggler’s Bulletin from the late 1940s. 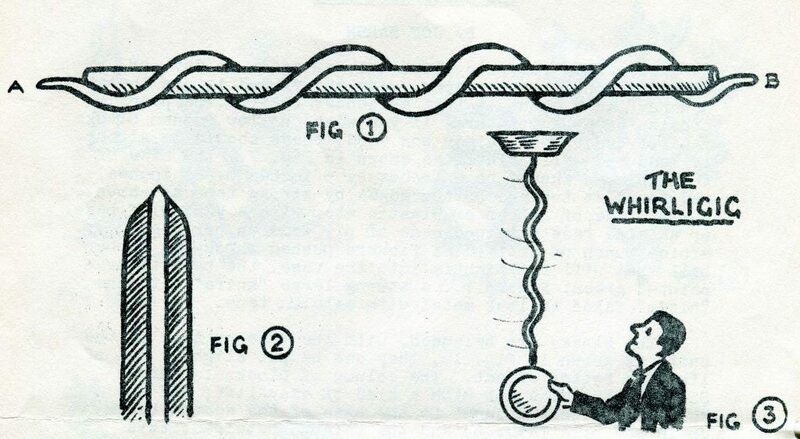 Joe Marsh shared a different version of the trick in an IJA Newsletter in 1966, which you can see below. 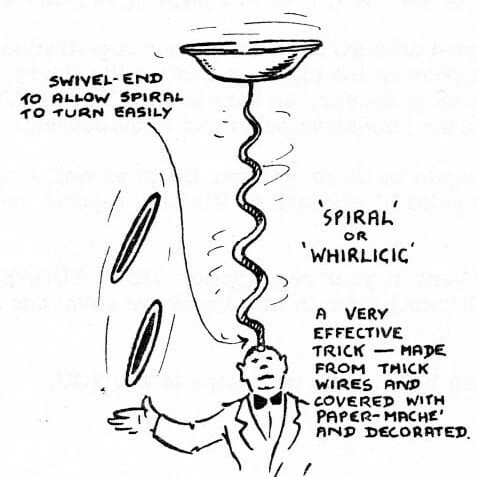 I’ve been aware of the whirligig for quite some time, so when I decided to create the Juggling History Show, it was one trick that I really wanted to include. I made my whirligig by wrapping a moderately thin metal rod around a pole to make it a spiral shape, attaching a small piece of pvc pipe to the bottom of it, and attaching the ball bearing system from a fidget spinner to the bottom of the piece of pipe. I wrapped everything in tape and wrapped the top point with friction tape. I then experimented with various types of spinning plates until I found something that had just the right amount of friction contact with the tip of the whirligig. Below is the result. 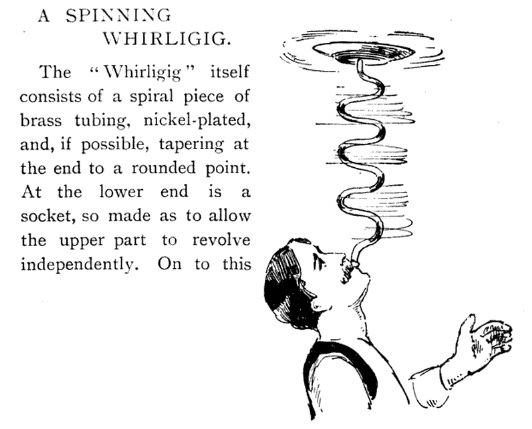 The whirligig is a fun and reasonably easy trick that audiences enjoy. You’ll need to make your own if you want to do it, but a couple of hours of work should be enough for you to create your own.